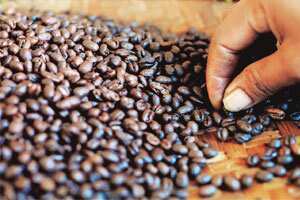 Kochi: Coffee and tea exporters have started feeling the heat of a rupee appreciating against the dollar. Spice exporters, however, remain insulated, enjoying the near-monopoly that India has in the industry. To cope, some coffee and tea exporters, running 100% export-oriented units, plan to shift to domestic tariff units to avail of certain benefits such as higher duty refund claims, announced by the government in the past two months. Unlike manufacturing sectors, coffee or tea exporters cannot pass on the burden of a declining dollar to the growers. Shift in position: Some coffee and tea exporters, running 100% export-oriented units, plan to shift to domestic tariff units to avail of benefits such as higher duty refund claims, announced recently by the government. The rupee has appreciated by more than 11% since the beginning of this year—reflected about the same amount in exporters’ drop in earnings. Among all plantation crops, coffee is faring worst, says Ashok Kurian, a leading coffee grower and exporter at Balanoor Estates in Chikmaglur, Karnataka. “Nearly 80% of 3 lakh tonne coffee produced annually in India is exported. We do not have a strong domestic market and our dependence on the export market exposes us to currency fluctuations," says Kurian, also chairman of the Indian Specialty Coffee Association. There has been a 23% drop in exports to 96,964 tonnes between April and mid-September this year from 127,000 tonnes in the corresponding period last year. The decline in value however is 10.4% to Rs854.78 crore on account of better pricing—Rs 88.15 per kg against Rs75.63 last year. “Had there been no rise in the rupee, coffee exporters would have enjoyed a good time," he says. He expects the government to announce measures to tackle the impact of the currency appreciation on exporters. The benefit of reclaiming 12% service tax, limited only to transportation of the consignment from the inland container depot to the port of export and the port-handling charges, should be extended from the point of packaging to the final export. He also calls for interest relief on crop loans and special coffee term loans (SCTL) whose annual interest burden is around Rs150 crore. SCTL was initiated in 2002 , rephasing the earlier loans into medium and long-term ones after the sector went through a very bad patch. Ramesh Raja, managing director of leading Bangalore-based coffee export house Ramesh Exports, says ocean freight rates also are high and the government must come out with a short-term transport subsidy. While the India-Europe ocean freight rate is $90 (Rs3,573) a tonne, competitors like Brazil and Argentina have a lower rate around $55 per tonne. A Rs5 per kg freight subsidy was offered to pepper exporters between 2005 and early 2007 and that helped the industry, he says. The pre-and post-shipment freight credit interest rate can also be brought down from the current level of 9%, Raja said. Deepak Shah, vice-president of the South Indian Tea Exporters Forum, also pitches for a reduction in shipment credit rate. “Facing stiff competition globally, the tea exporters work on very thin margins. While the bank credit is normally for 60-90 days, they often receive the payment much later. So, they suffer," he says. He also says the raising of the duty reclaim to 4% from 1% under the duty entitlement pass book (DEPB) scheme is very low. Under this scheme, exporters now can claim 4% of the export value. In the short term, it should be raised to at least 6%, he says. He is considering abandoning his 100% export oriented unit (EoU) and turning it into a domestic tariff unit as 100% EoUs are not eligible for this benefit. This will give him the benefit of the duty entitlement scheme and also allow him to sell his produce in the domestic market. He says several others are also looking at this option. Tea exports from January to July 2007 fell to 86.1 million kg from 106.6 million kg. However, despite this, the exports value rose from Rs834.6 crore to Rs899.7 crore as the price of tea per kg went up to Rs97 from Rs84.41. J.K. Thomas, tea exporter and former president of the United Planters Association of South India (Upasi), says plantation commodities are supply-driven and it is difficult to pass on the burden to the buyers. “The players in the plantation sector pay 15 different taxes to the Centre and state governments as well as local panchayats. Since exports are taking a beating on account of the rupee appreciation, it is necessary to have a separate scheme for recast of these duties to lower the tax burden," he says. The spice sector, however, presents a different picture. “We will remain unaffected and exports will continue to grow except perhaps in pepper and cardamom," says Sushma Srikandath, chairperson of the All India Spice Exporters Forum. “We are on a strong wicket as we have a large variety of spices. Given the poor crop conditions of some of our competitors, we will enjoy a near-monopoly and buyers will be forced to come to us and we can raise prices to offset the impact of the rupee appreciation," she says. Sushma points to the case of cumin where Indian prices ruled at ₹ 10 a kg and if buyers go to Syria, Iran or Turkey to source them, they will have to pay a higher rate of ₹ 130. China, producer of chilli and ginger, is under pressure now as its exports of toys, pet foods and other products have been called into question over safety. “Even though the Chinese prices are lower than that of India, our spices are preferred," Sushma asserts. Spice export earnings between April and July went up to $337.85 (Rs1,385.02 crore) against $213.39 (Rs976.68 crore) in the corresponding period last year.